Over the past few years, Bermudians have been bombarded from several angles with the narrative that we must give a pathway to permanency for an estimated 9,000 guest workers and 1,500+ PRC holders. 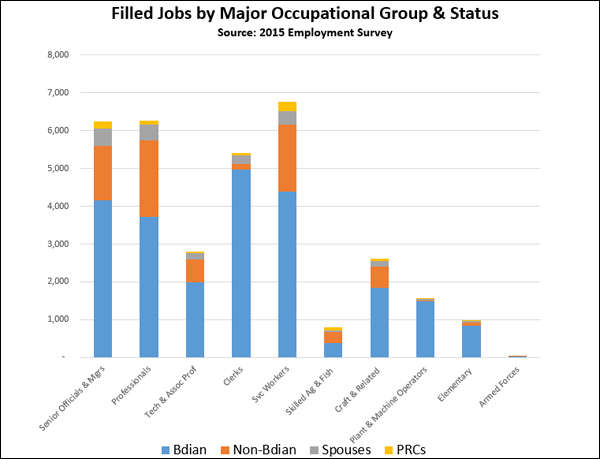 Graph 1 shows Bermudian vs non-Bermudian employment by major occupational groupings. 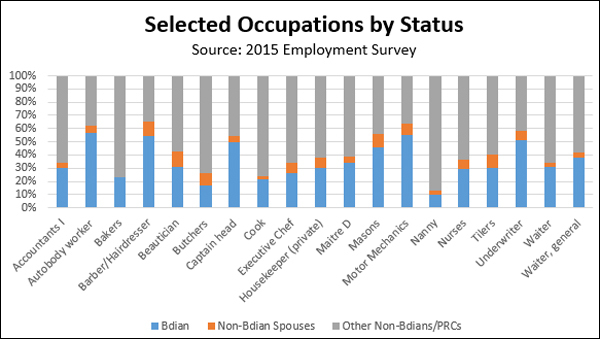 Graph 2: depicts the percentage of workers in select occupations by status, highlighting many areas where focus should be placed on re-training or re-tooling our unemployed Bermudian. Prime example 80% of bakers in Bermuda are non-Bermudian. Surely there are Bermudians who can bake or train to be certified bakers who can take up these positions as work permits end. 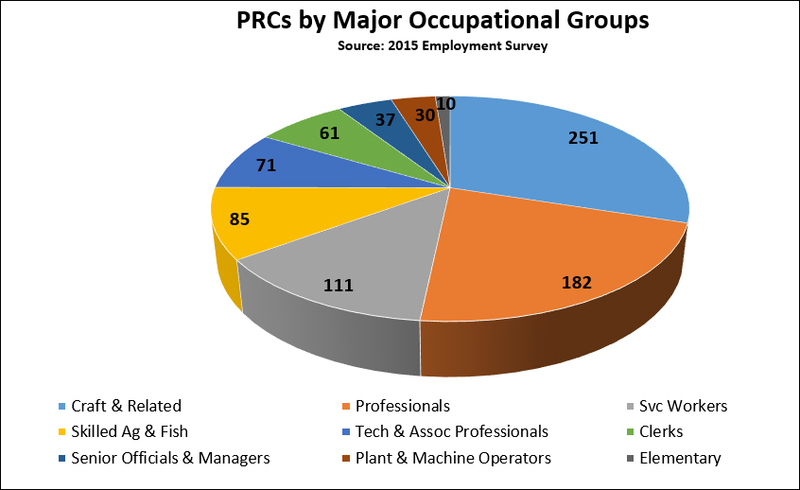 Graph 3: shows the major occupational groups that are currently held by PRC holders. The proposed OBA amendments to the Immigration & Protection Act 1956 has the potential of increasing the number of PRC employment in these areas significantly. Once non-Bermudian workers are re-categorized as PRCs, they will no longer fall under work permit controls and these jobs will not be advertised to qualified Bermudians. 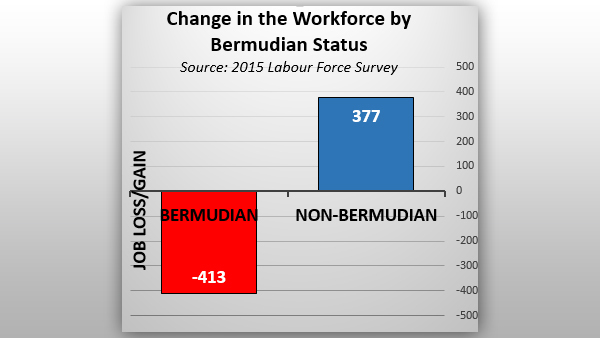 Graph 4: shows the downward trajectory of number of jobs held by Bermudians over a 3-year period. Approximately 2,000 Bermudians have lost jobs since the OBA abolished Term Limits. Due note the 2015 figures are projected to be even lower. Graph 5, in sharp contrast, reveals the 2015 drop in Bermudian employment vs the increase in non-Bermudian employment during the same period. In 2015 alone, 413 Bermudians lost jobs whilst nearly 400 non Bermudians gained jobs. Does it seem as if the OBA immigration policies are working for Bermudians? Graphs 6 & 7 illustrate the breakdown of the unemployed persons in Bermuda by both status and race respectively. As one reviews these graphs it clearly indicates a negative trend of Bermudians and in particular Black Bermudians holding jobs. These graphs clearly show which job categories are dominated by guest workers and PRC holders. Many of these job categories are able to be performed by Bermudians yet for some reason or the other they are not populated by Bermudians. Under the proposal presented by the OBA, over the next 15 years 9,000 jobs could move out of immigration control and born Bermudians would forever be blocked from these posts. Instead of attempting to open the floodgates to overseas employees, our government should have been using this time to re-tool our unemployed Bermudians to fill these positions. Bermuda has been waiting over 3 years for the OBA to finally deliver on its promise to produce a National Training Plan which, according to Minister Michael Fahy, supposedly “aligns with our overall goals of protecting Bermudian jobs by transitioning to a place of reducing our reliance on overseas labour.” May 2014. OBA needs to explain how allowing guest workers to transition into PRC holders while Bermudians are unemployed and denied entry-level positions will assist Bermudians attempting to get into IB and other fields? Over the last two years there has been a net gain of 200 jobs in IB up from 3,700-3,900. Most of these jobs have gone to non-Bermudians. Over the same course of time nearly 2,000 Bermudians have lost their jobs. So how is OBA immigration policy working out for Bermudians? I could poke holes in this all day long. I’d like to see you and Fahy or Fahy and the Shadow PLP Immigration Minister have a debate on this topic. Do you have the nerve, Mr Famous? Or would you just chant “no, no, no” while blocking your ears? “How is the policy working for Bermudians” you ask? I don’t know Chris, why don’t you ask the folks working at Riddells Bay?? Wow! How those guest workers procreate over night!!! There are 46,600 Bermudian registered voters. The number estimated is less than 700. It will have no impact at all on anything. Many of the people affected are in their 50′s and 60′s. Will not be having children. To the extent anyone procreates, well, that is what ever part of the population does to some extent or the other. The current 46,600 Bermudians will not stop having children. If 700 people becomes 9,000, then 46,600 increases in the same proportion and becomes 598,810. You see how stupid the numbers are the PLP throws around? How do you know what the numbers are? Do you work for Immigration? If not keep your mouth closed! You don’t like the facts. You can’t handle the truth. Your Prime examples: THEY CAME HERE UNDER THE PLP. So stop with the BS Chris. Ask a gardening company Bermudian owner why so many expats. Ask the Bermy grocer why his butchers are expat. Take some time and visit them and actually ASK THEM. Most will give you a very honest answer.I have asked and discussed this issue with business owners many times. I don’t understand what Mr. Famous is trying to get at exactly. The only reason these positions are filled by expats is because no Bermudian was found to fill the position. Employers PREFER to hire Bermudians because not only is it significantly cheaper but they provide continuation. The real question these graphs show is, why aren’t Bermudian applying for these positions and/or why aren’t Bermudians holding onto this positions? Why are there so many foreign waiters? Could it be because Bermudians don’t want to lower themselves to do those jobs, don’t want to work the hours, aren’t willing to do the job. Chris, why aren’t you asking why Bermudians aren’t working in those jobs instead of asking why foreigners are taking them? Will the average Bermudian realistically subject themselves to this? Not one with a family, or bills to pay or one who expects to enjoy life while they are living (and this doesn’t mean getting paid Friday and drinking it up at a bar until Monday. You could not live in Bangladesh and expect to earn $15USD/hr for many unskilled jobs, if any at all but that expectation is much greater and reasonable in a country such as Bermuda – that is not unreasonable so I wish to add my commentary in an effort to provide yet another perspective to the learned writer above………. Sometimes you have to walk in my shoes to feel the path beneath it and also have my same opportunity (or lack thereof), aspirations and dreams to understand what it is my perspective is to make a statement that I [Bermudians] wouldn’t lower myself to do certain jobs. And rightly so given the context of this missive! No, I don’t think that’s what wondering is saying. I think the point is, the market rate of salaries is dictated by the cost of living in a particular jurisdiction. A restaurant worker in Bangladesh would never expect to make what a restaurant worker in Bermuda does, simply because the cost of living there is lower. Employers also tend to look at the rate of inflation in a country when giving employees raises. So cost of living IS tied to wages. In Bermuda, there is no minimum wage, but we have a general idea of what certain positions earn. However, “what the market can pay” is very subjective, because employers can and do find ways to save on labour costs – by outsourcing IT jobs to India and Canada or bringing in foreign unskilled labour to do jobs for less than what a local would be paid. Of course, if Bermudians WERE occupying these jobs, for the lower wages, you would very likely see these same Bermudians needing financial help simply because their pay is not enough to cover expenses for themselves and their families. They are not living in the manner that wondering described above, therefore, we would likely be creating a situation like what is happening in the U.S. – where tons of workers at McDonald’s and other fast food/ retailers are on food stamps and other Government benefits simply to make ends meet, because of what the market dictates that “they” want to pay. This creates a situation of corporate welfare, where multi-billion dollar enterprises are being subsidized by the Government. That is truly a case of backwards economics. once again some readers are not reading with the intent of understanding, they are reading with the intent to reply…. Actually, I do get it but “wondering” thinks the tail should be wagging the dog and not the other way around. What will eventually happen is that employees who work for lower salaries will have less money available and unless food prices, rent etc also go down there will be less and less customers so they then would have to lower their prices etc. In other words deflation. OK so you don’t want ex-pats or PRCs doing these jobs, but you also don’t expect Bermudians to do the jobs…so I guess you don’t want hotels in Bermuda? That’s all I can take away from the nonsense you posted. What you are describing is termed ‘socialism’. If that’s what you want then move to Cuba. You raise some very important questions. I previously worked in the food service industry and it was difficult to retain Bermudian staff. Positions were not considered a ‘real’ job by many. Publish the data so we can all see the methodology. So we can’t support our healthcare and pension systems with the current headcount, the birth/death rate is falling, the impact on voting distribution is negligible and we need to stabilize/stimulate the economy and these people are already here and have contributed. Having a pathway to status is a racist policy?? I’d love to see these stats for, say, 2007-2012. Where are those, Chris? And all the professions that he cherry picked were also majority staffed by non-Bermudians. But yet we never heard about foreign loving and anti-Bermudian the PLP is/was. No blaming on the PLP’s policies or their non-action regarding ‘re-tooling’ the unemployed of the island. Instead in 2012 he campaigned relentlessly for the PLP to be reelected. On top of that of course non-Bermudians will be unemployed in much smaller numbers as they have to leave the island once they are no longer employed! Lastly, I don’t know why Famous and others rely so heavily on Government to ensure that an individual is workforce ready. That is the responsibility of the person themselves as well as the individuals who raise them. Even Marc Bean preaches of the need to stop sucking of the Government for all your needs. Make your own way like the majority have in the past, present and in the future. Why not 1990 – 2017? 2007-2012 is not that many years. Fail, BIG fail. Try again Chris. All I want someone to do is give me the exact number of people we are talking about. No-one seems to know. Why. That baffles me. Or why doesn’t the Minister/Ministry do so. Surely they have a record. And if not let’s start compiling one before we go off and give status to an unknown number of persons. All I saw was a whole lot of blue…………………………. Chris Famous, I don’t usually comment on this kind of thing but I would like to point out an opportunity that is obvious. Your data shows that there are 2,129 Bermudians unemployed and you show 76% of chef positions 74% of our butcher positions 66% of waiter positions 65% of landscaper positions 60% of our tiler positions 44% of our mason positions are filled by PRC or Foreigners Not sure as to the total number of jobs that is as that number is not given in the data provided. I suggest you meet with the BIU Executive and get a PR Campaign out there that these jobs are easily taken back once the local workers get training and commit to working these jobs. Back in the late 80′s I remember loads of Bermudians working at the big hotels in most of the positions stated. Collaboration is the buzz word of the day….get the message out. Poor analysis. So many holes. Not worth commenting! I didn’t fully appreciate how much Chris Famous has absolutely no understanding of the situation he is attempting to discuss. He highlights the jobs where Bermudians have the minimal share of jobs that historically they are unwilling to do, someone has to do these jobs at the rate they pay? Also, to suggest that the change in workforce has favoured non-Bermudians in recent times is so way off. He does not highlight that over 4,000 non-Bermudians have left the island, so in fact Bermudians have lost less jobs than this group. It also should highlight the fact that these people were not in fact ‘taking’ jobs but actually creating more jobs for Bermudians, otherwise would we not have Bermudians employed in these jobs that were ‘vacated’? I’m not even sure where to start with his projection of 9,000 that he has pulled out of thin air. He’s carving out a wonderful name for himself as a Fiction Writer. @ Enough.. The 9000 number was thrown out there by a PLP MP a few months ago (even the PLP admitted that this number was incorrect)… Although the projected numbers I have seen from immigration are a close to 10% of that. What Mr. Famous is really trying to say is that once these people that work for less than a comfortable wage for Bermuda become Bermudian they too will shy away from certain jobs making it more difficult for already stablished local families to survive !!!!!!! you all think those foreigners that are forced to life 8 in a one bedroom apartment do not want or deserve Better . I think it is heart breaking when you walk into a Business and all but the one person at the front! the face per se of the business has Bermudian ties. Absolutely… So why don’t they go and get trained? Or are you expecting someone to pay for their training? All these statistics couple PRC’s with work permit holders. It’s not enough to support your argument accurately, Chris. When I listen to C.F. and remember the rabid behaviour on the Hill I stop browsing Property Skipper and do a search of villas in Mallorca. Is Chris Famous qualified to give an opinion on economic data? The PLP are kings of the unqualified opinion. After reading this mess, what do you think? Mr. Famous, have you actually spoken to an unemployed Bermudian who wants to be a baker? Because the only ones I’ve spoken to don’t want any of those jobs. Those jobs all require hard work and showing up on time. So now the argument some wish to make is that there is not 9,000 guest workers on island? Honestly Chris why do you waste time with these people! The oba has lost that 20% of the (blk) population they need so desperately to win in 2017. I will never trust them again and fake smiles don’t work anymore to win my vote. I think Famous, Furbert and Tweed should run the island. Who needs any political party when we have the combined astuteness of these three graduates in economics. Tucker’s Point in Receivership with no earnest offers. Riddell’s Bay in Receivership. Airport falling apart. IB offshoring IT because cloud computing doesn’t require in situ plant. Anyone can cook so anyone can be a chef? Anyone can be a waiter? Guy has no idea what he’s talking about. If people have no passion for their work, they won’t last long in any position. Famous: Big Hat, No cattle. Why does Mr. Famous conveniently and repeatedly ignore simple facts, including the PLP Government’s issuance of 10k more work permits while in Government than the OBA and the $2 billion of debt owed to non-Bermuidan lenders saddling current and future generations to the yoke of foreign lenders? His continued selectivity and mischievous cherry picking is disingenuous at best. The ongoing campaign of PLP disinformation purely for personal political gain is disgusting. He should be ashamed of these exploitative and one sided remarks. How many locals does Mr. Famous employ….? Because he does not employ anyone that does not mean, he does not have a right to speak out. People continue to use the same trope Bermudians do not want these job waiters and waitresses etc. says who. Because someone says so it does not make it so. There are numerous individuals who have degrees who are unable to find employment. The …. article regarding a woman who was employed in the insurance industry and today she is a waitress and struggling to make ends meet. I know of someone who was employed in the reinsurance industry and now they are a security guard. There is something called economic violence/oppression and this has been taking place since slavery. It is designed to keep people of colour economically oppressed. Majority of our historical buildings that are still standing today were built by individuals who did not have a degree, and who did not finish high school. Today you have “architects” who are foreigners coming to the Island to design buildings and houses. This is by design to to keep us from thriving as a people. The same thing is taking place in America and the Caribbean. One does not need “papers” for most of the jobs today. There was a time you were trained on a job, but they saw that we were prospering/thriving and they were not having it. There is a wicked spirit behind it. The reason they require “papers” today, because they know that there is a system in place to keep us economically oppressed, therefore most of us can not afford to send our children overseas. And the ones that do have their “papers” are the ones being denied jobs also. Please do not give me this other myth there are not qualified, because you have foreigners doing jobs they are not qualified to do or being trained by a Bermudian. Another wicked thing that is taking place how can you make a Bermudian redundant and still have a foreigner employed. In some cases their spouses are making over $200,000.00 a year or more and they are employed and you have a single mother who is a Bermudian ends up being made redundant. Their lives and the lives of their children will become socially and economically oppressive. It shows the people who are making these decisions have no souls. The whole system is guilty as hell.